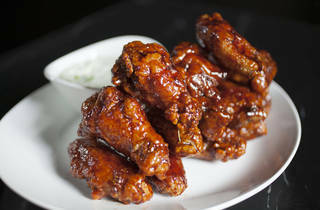 Looking for the best wings in NYC? 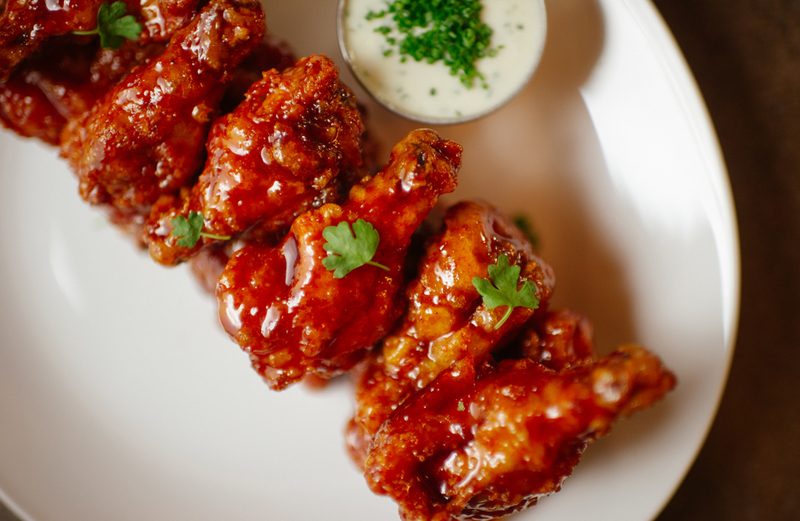 Here’s the best bird at everywhere from divey bars to upscale restaurants. 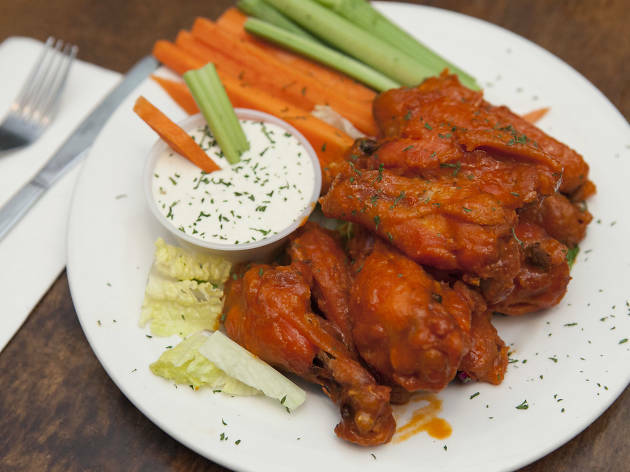 We take our bar food and snacks very seriously, especially the best wings in NYC. In a city where there’s no shortage of chicken joints (see: the best fried chicken, the best chicken and waffles, etc. ), it takes a lot to make one stand out. 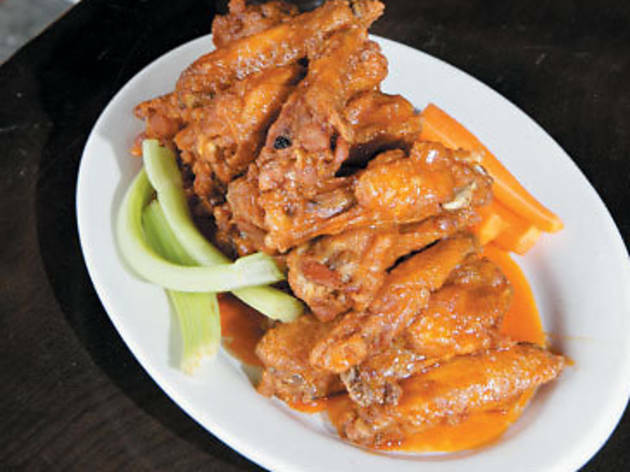 To help, we’ve assembled the best wings, both buffalo and beyond, that satisfy cravings on game day or any day. You’d think a place that has been pouring drinks for more than 120 years would know a thing or two about how to please. And you’d be right. Opened in 1892 (yes, it even stayed open during Prohibition), this Flatiron dive delivers with refreshing pints, a rollicking post-work (and post-post-work) crowd and a charming old-timey vibe, with distressed mirrors, high tin ceilings and a mahogany bar. 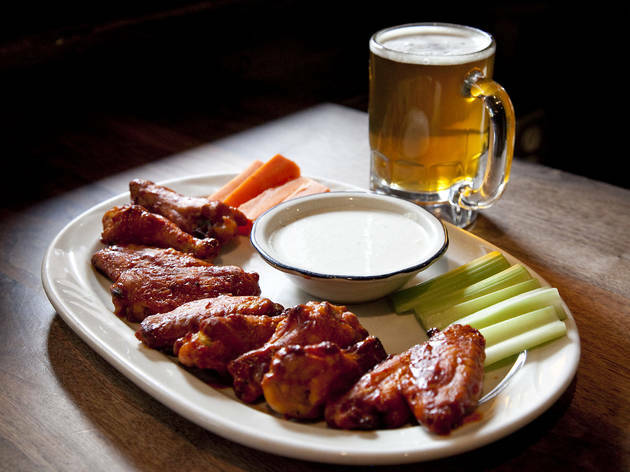 All that imbibing will help you work up an appetite, and the peppery Buffalo wings are the perfect remedy. 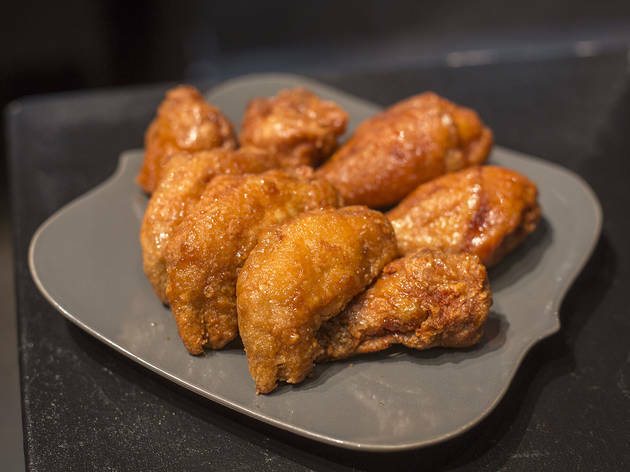 Equal parts tangy and buttery, the crispy-on-the-outside, meaty-on-the-inside wings are so addictive you’ll be licking your plate clean. This popular chain gives your favorite bar snack the Korean treatment—which is to say, they’re fried twice to create a crackly shell then smothered in your choice of soy-garlic or hot-and-spicy sauce. The symphony of soy sauce and garlic produces a savory kick, while the fiery mouth-puckering dressing, made with gochugaru (or red chili pepper powder), make it a scorching affair. But don’t sweat it—coleslaw, pickled radish and steamed rice sides will help keep your cool. 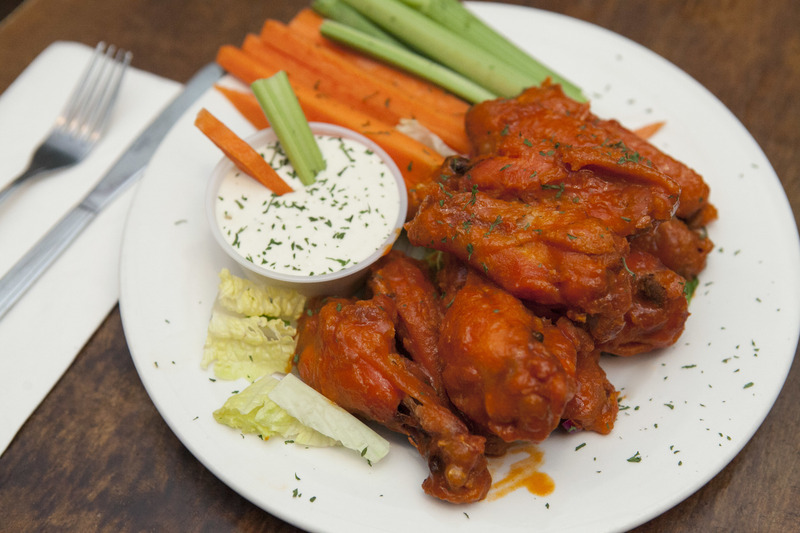 With several locations spread across New York, this sports bar boasts a comprehensive craft beer list (it even cheekily touts no Bud, Coors or Miller), but the real draw is its insanely good bang-for-your-buck wings. 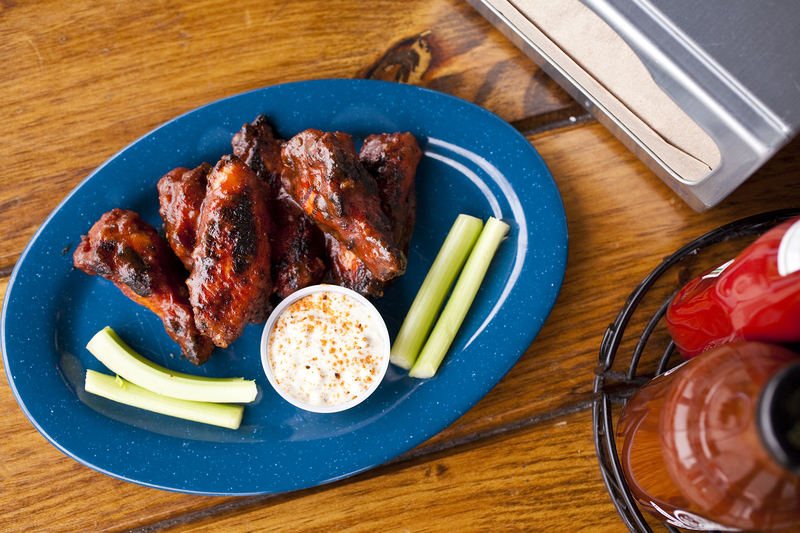 Chomp down on 40-cent wings six days a week (Mon–Thu 4 pm–1am, Sat noon–5pm, Sun noon–1am). Score! 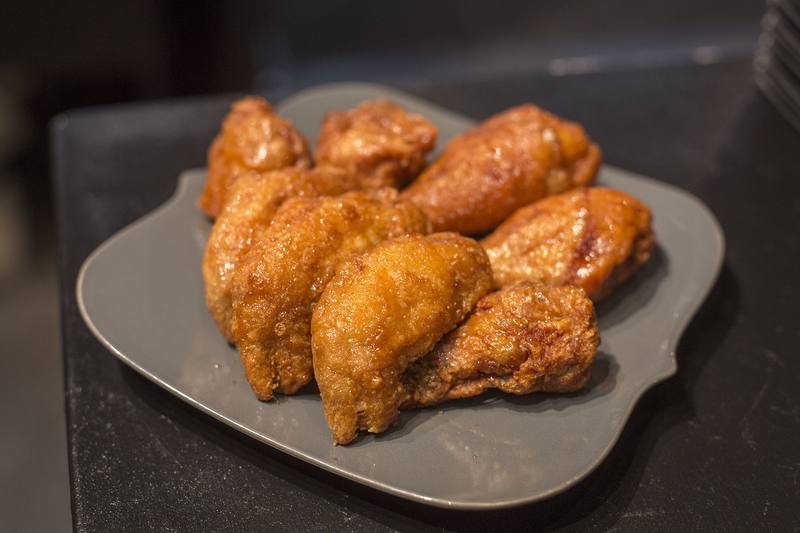 All good things take time—just ask Momofuku Noodle Bar vet chef Shane Lyons, who spent years fine-tuning the recipe for the crispy cluckers served at this 110-seat Tribeca restaurant. Submerged in a glorious mixture of suds and spices, the fowl then hits the fryer—twice—and is lathered in a salty-sweet Gochujang sauce. Luckily, the high-ceilinged space keeps the lights dimmed, making it the perfect discrete setting to lick your fingers judgment-free. 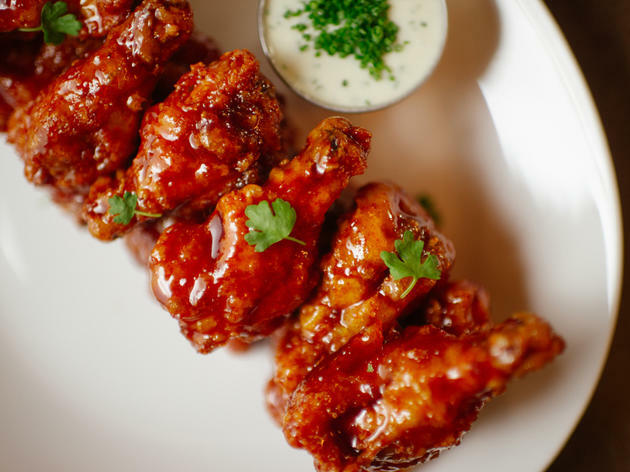 The wings at this Brooklyn joint aren’t your typical game-day favorite, but that doesn’t mean they’re not just as mouthwatering. 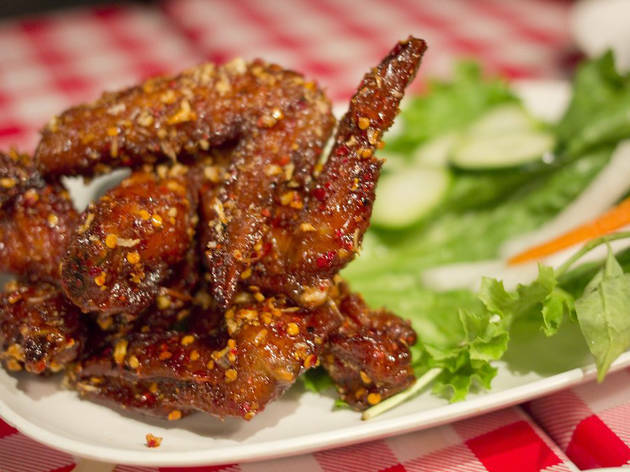 Inspired by some fish-sauce wings he tasted at a roadside stand in Saigon, chef Andy Ricker created his own Vietnamese version, dubbing them Ike’s Fish Sauce Wings. 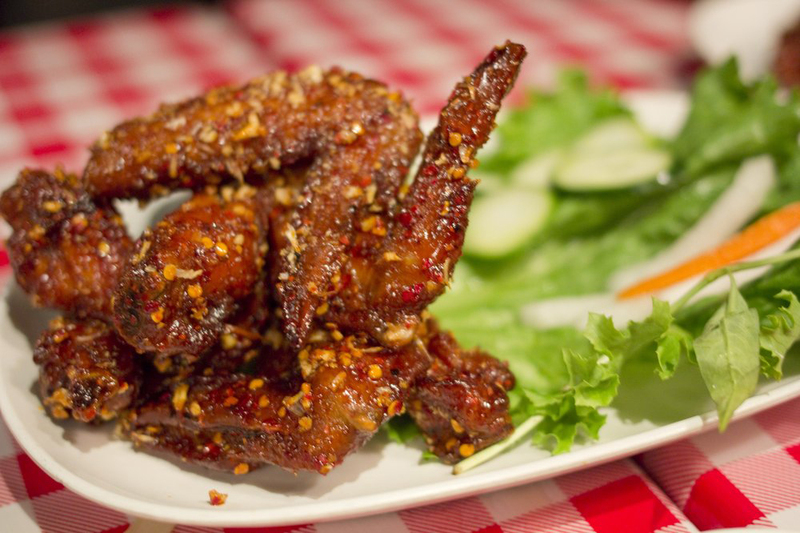 In his rendition, a dose of garlic, sugar and fish sauce marinade meet a pile of meaty poultry before frying. The result is culinary magic: a savory, sweet and sticky snack that’s then finished with crispy caramelized garlic. This West Village haven is best known for its craft brews (28 taps, two casks and more than 80 bottles) that you most likely can’t find anywhere else. 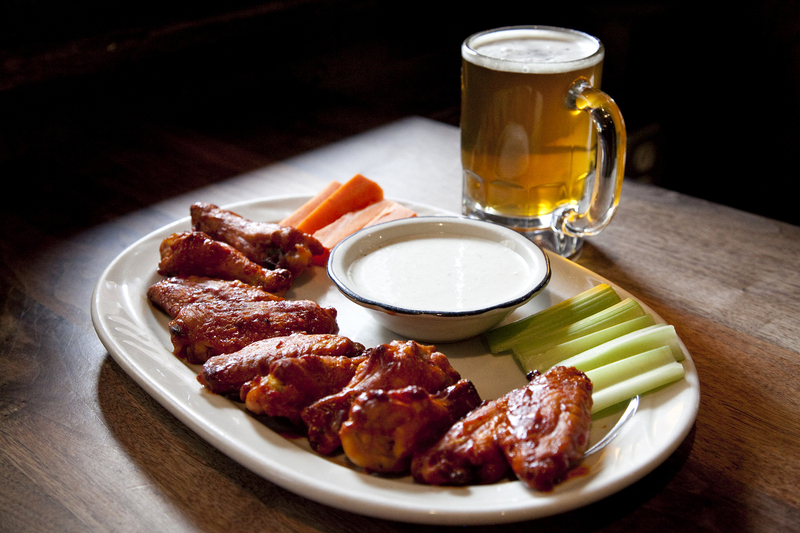 Drain a few pints, but don’t miss out on the wings, which happen to be some of the best in Gotham. 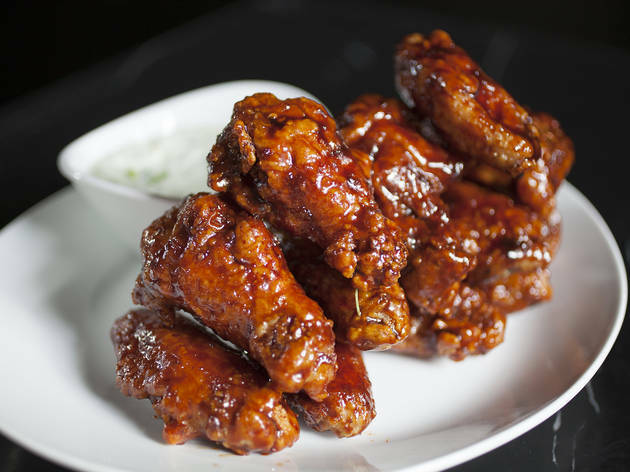 Brined in a salty pilsner to maximize juiciness, the meat is then baked and coated in either hot buffalo or Korean BBQ sauce. If you go the peppery, mouth-tingling route, the spicy fumes will hit your nose, but a house-made bleu cheese dip soothes some of the heat. 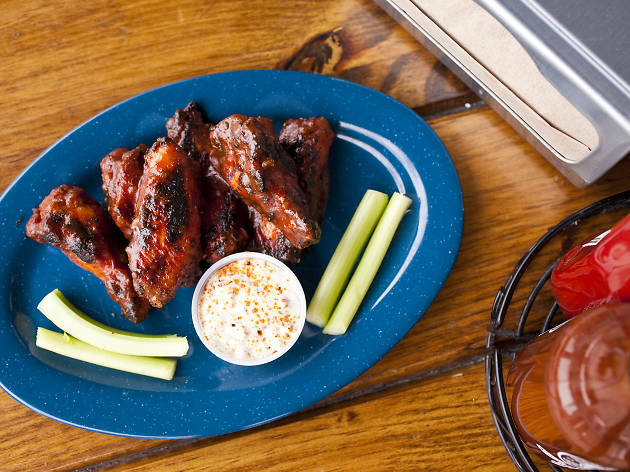 At John Stage’s beloved Brooklyn and Harlem smokehouse, an order of the Wango Tango wings is the way to go. 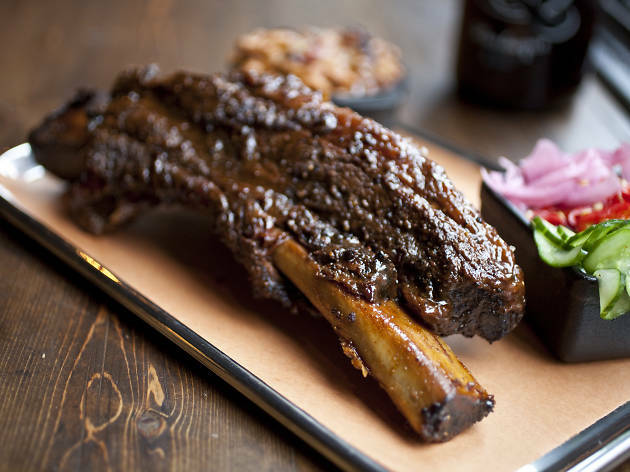 Spice-rubbed, pit-smoked and charred on the grill, the tender, fall-off-the-bone meat is then doused in a spicy-sweet mixture that stars cayenne, habanero, black pepper, molasses, brown sugar and onion. Though a hard act to follow, the other dressings—honey BBQ, sesame hoisin, garlic chipotle and the uber-spicy Devil’s Duel—also put up stiff competition to the BBQ counterparts south of the Mason-Dixon line. Looking for more delicious food? 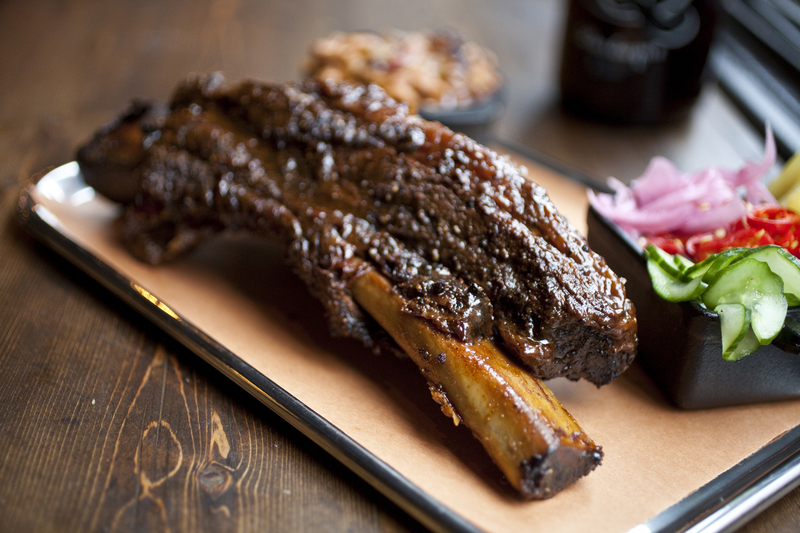 NYC has some great smokehouses, and check out our primers on regional styles.